Nokia 3 customers will get 4GB of free Vodafone 3G/ 4G data as part of the partnership between the telecom operator and HMD Global, the new custodian of the Nokia mobile phone brand. In addition to this, Nokia 5 and Nokia 6 buyers will also get 4GB and 9GB of free data from Vodafone when the two smartphones become available to purchase in July. 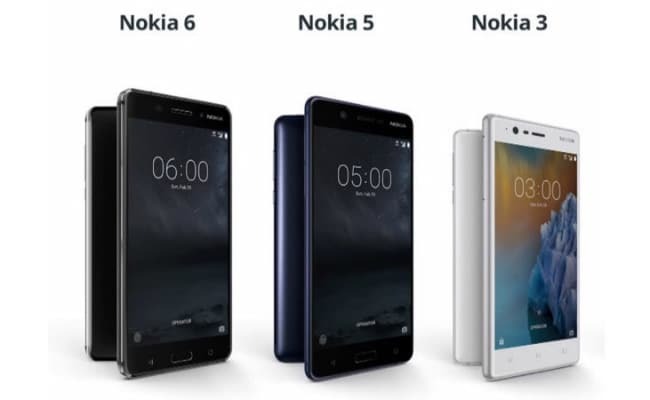 Of the three Nokia Android phones, only the Nokia 3 is available to purchase at present. The free Vodafone data will be available for both prepaid and postpaid customers buying the smartphones. With the new Vodafone India offers, Nokia 3, Nokia 5, and Nokia 6 users will be able to avail additional 4G or 3G data. Prepaid subscribers with Nokia 3 or Nokia 5 phones will get 4GB additional data with the purchase of a 1GB recharge, for 3 months or 3 recharges (whichever comes first) at Rs. 142; this means they will get 5GB data at the price of 1GB. Similarly, Nokia 6 users will get total of 10GB data from Vodafone on purchase of a 1GB recharge, for 3 months or 3 recharges at Rs. 251. The company notes that prices will vary depending on the circle.